Happy Friday Foxy Friends! Today is my day off and it's the first off Friday that I've had where I don't have to do anything for anyone else. I'm going to go to the gym do a dance jam class I've been wanting to take (mostly because in October he teaches us how to do the Thriller Dance), and then I"m going to the mall. I get a whole 4 hours to myself and I am taking advantage! Alright onto some Friday Favorites. Saturday we headed to the Angels game with some box seats, really is there any other way to do a game? Okay there is, but it was super fun and nice to have a clean, readily available bathroom in the suite. And there was the most spectacular fireworks show at the end. Sunday I got up early to go grocery shopping, but Baby Fox woke up as I was leaving and wanted to go with me, who am I to say no to that cute face? He was super excited to head to the store with me. Then I did a bunch of food prep when we got home, and tried to go to the movies and now for a second week in a row we struck out. We're going to try again this weekend...hopefully we'll get in! But we did occupy the kids with some yogurt and some duck duck goose, it came in a distant second to seeing the Ninjago movie. Then Mini Fox wanted to try and learn how to ride her bike with training wheels, she totally rocked it, I'm so proud of her! We went to my parents for dinner and she wanted to bring the bike with her. Monday Mini Fox had her first gymnastics class and LOVED it and can't wait to go back. Wednesday Mr. worked from home and got this view when she realized he was home. 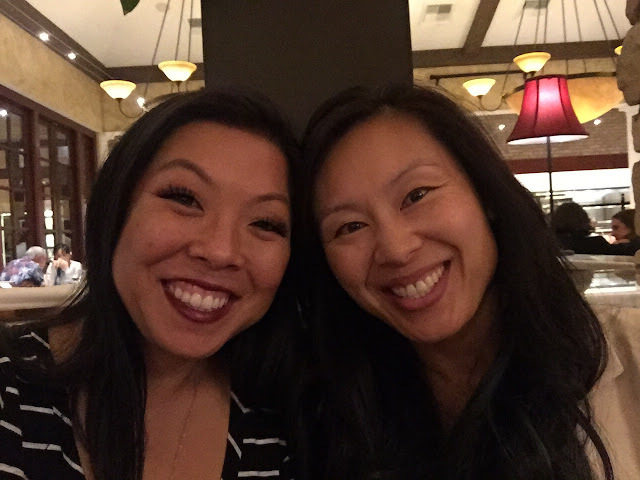 Last night I went out with a girlfriend from 7th grade for dinner, it was fantastic to catch up. It had been way too long! 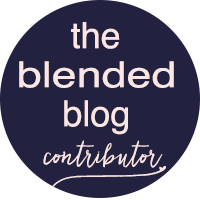 As always linking up with The Blended Blog for some things around bloggy land that I want to share. 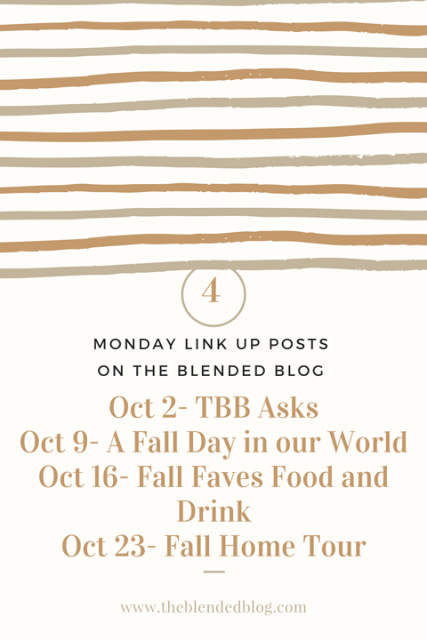 First up, here are the topics for Monday's posts on The Blended Blog. Easy posts if you ask me. So this weekend record your day in a life and post on Monday! 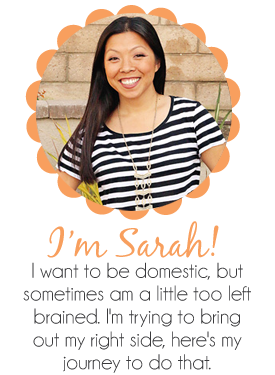 Also Beth and Stephanie are organizing a Halloween recap link up, and I'm going to be a host too! 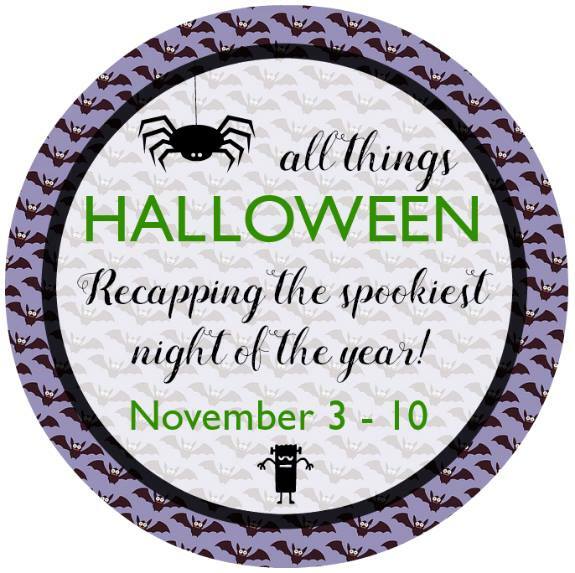 Yay, so don't forget to link up your Halloween doings between November 2nd through the 10th. Here are some things around the internet that I've been loving. Remember back in the day when you heard your song on the radio and you quickly ran to press record, which resulting in always having the first 5-10 seconds of a song not there? Yep...this is what modern kids think of tapes today...so funny. hahaha, what happens when a bat is in your house and you just record your friend trying to get it...so dang funny! What's going on in your world? Anything fun and exciting this weekend? We have a fundraiser we're helping with...I still need to put a bunch of stuff together, wish me luck!